The TEK-PA2B is a compact Class-D amplifier with two selectable line inputs and one balanced MIC with selectable phantom power. 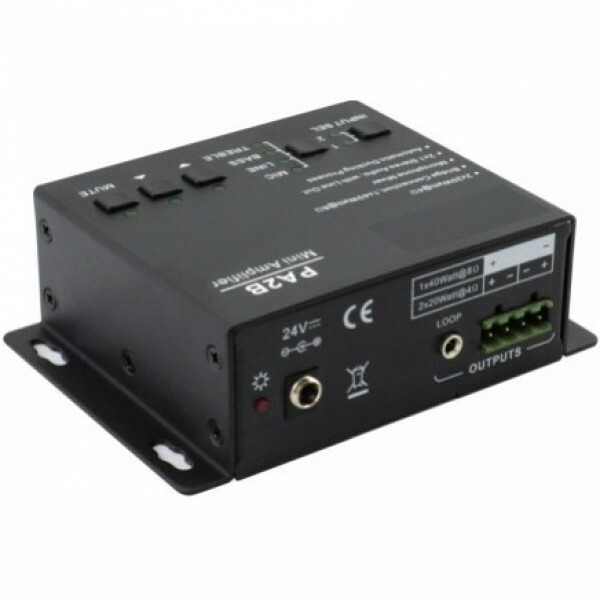 It is integrated with powerful features including speaker bridging, stereo or mono selection, EQ control, a microphone mixer, and simple-to-program RS-232 control. 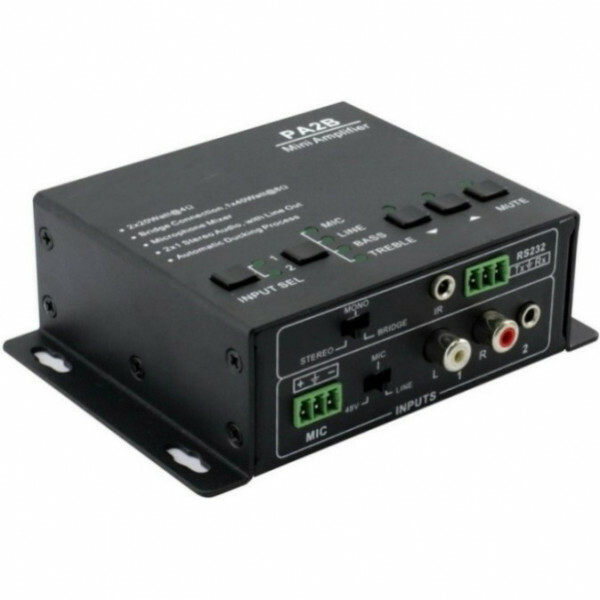 The TEK PA2B amplifier is great for classroom and training room amplification including speech reinforcement. With separate volume controls for the line inputs and the Mic input, it is easy to control a room level without feedback. In this application, there are two different selectable music inputs and a microphone input which are all controlled by the TekTouchPad. A second TEK-PA2B is added to connect a second group of speakers. Since the Loop output is after the volume control, adding another amplifier is easy. Any change of the volume level will also control the level of the second amplifier.